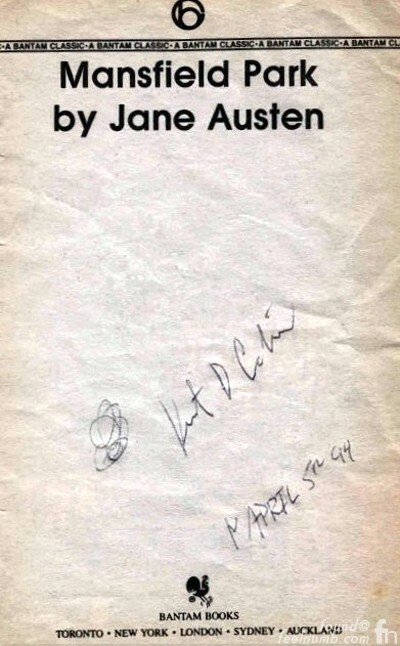 A Nirvana fan claims that he is in possession of the final Kurt Cobain autograph which he obtained at Seattle Sea-Tac Airport on April 2, 1994. The eerie thing about the autograph it is that Kurt forecasted his death by dating it April 5th 94, which was the eventual date of his suicide. 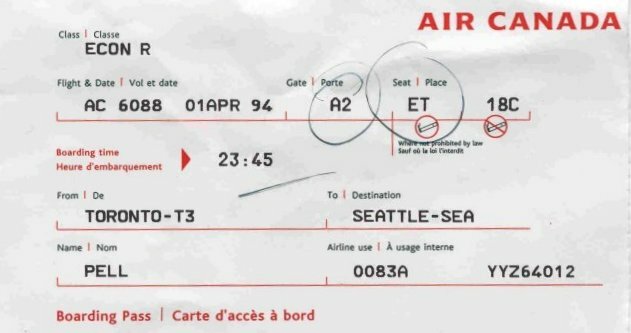 The timeline of Cobains’s final days do confirm he arrived at Seattle Sea-Tac airport on Saturday, April 2, 1994, at the approximate time of 12:47 AM. This is the famous flight he took from Los Angeles to Seattle after leaving rehab and sat next to Duff McKagan of Gun’s N Roses. Cobain still had a Delta airplane ticket, #788F. dated 4/1/94, seat 2F in his pant pocket when he died as the police report states. “He got off the plane and was on his way out to meet his ride when he saw a couple people getting an autograph from someone. This drew his attention enough to recognize that it actually was Kurt Cobain. My brother, being a big fan at the time said that there was no way that he would’ve recognized Kurt, aside from the others getting autographs from him. This was because he was wearing large shades, an Elmer Fudd hunting cap and had a large brown jacket on, all of which concealed his identity pretty well. So my brother got out a pen and a novel that he was reading at the time for school, and handed them to Kurt. Kurt signed his full name (which did not seem so weird at the time) and my brother asked him to put the date on it as well. This wasn’t really an odd thing for my brother to do as he tries to get all of his autographs dated to make them more sentimental. So Kurt jotted down the date. The strange thing was that he dated it the 5th instead of the 2nd. And that was that. My brother told him that he enjoyed Kurt’s music a lot and the only thing Kurt said the whole time was “thanks”. When my brother left, Kurt was still at the payphone. Everyone says that Kurt wasn’t still there at 2am, and had already left the airport a half-hour earlier, but that is just not true. We love KC too!!! Really love him. You could be anyone. But I'd like to give you the benefit of the doubt, seeing as Kurt is my all time idol (not lifestyle-wise, but for his honest, raw and passionate music. It would be disrespectful of me to even hint at asking what that date meant to him or anyone else in the family, but I will always keep it in my mind. RIP Kurt, you're sorely missed by more people than you'll ever know. Shambayah: Elan & Jenny Allende from Bravo's Mexican Dynasties New Hit Single "Al Derecho y al Revés"